Typically, the last few months of the year are my slow time for readings. I generally attribute this to the fact that people tend to spend their extra time and money on holiday related purchases. However, this year, while there was a bit of a slowdown, the readings that I did give, although each unique were also tied together by a theme. We as a nation, seem to be in unusual and unparalleled times. This shows up in a couple of ways. One of them of course is politically and while I have very definite views personally, I will not be addressing them here. What I feel is more helpful is to speak to what I call “the general energy of the nation and what you as an individual” may be experiencing at this time. We are in a state of stagnancy. We are in a holding pattern. Almost every reading I’ve recently given has had a variation of “hold on until after the beginning of the new year!” At first, I didn’t recognize the theme and then, there it was! Now I know we’ve been in mercury retrograde, but we exited this on December 6. Generally, mercury retrograde is a time of slowing and introspection. We look inward and it can be called a period of “quiet time.” That’s fine. What we are experiencing is a little bit different. It’s as if time itself has ground to a halt. I have taken this to mean it is a time of personal slowing and patience. A time to not only reflect but to relax. It can be hectic at this time of year and while you may still experience a frenzy of sorts as you shop and prepare for the holidays, the guidance is to find a more quiet, calm and relaxing time than you might normally seek out. I know it seems counter to the generally more revved up holidays, but I ask you to trust the wisdom of the Akashic Records. 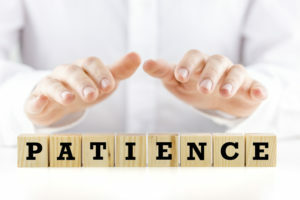 Accept where you are and practice patience because this holding pattern is not likely to change until mid-January. Take time to do things you’ve been putting off or things you’ve put lower on the priority list, or simply pick up a book and read. The point being, take yourself out of the hustle and bustle, each day if possible, at least for a short time. You have permission to be quiet and slow down. Practice love, compassion, non-judgment and forgiveness of self as well as others. Finally, reevaluate what’s truly most important to you at this time and practice compassionate firmness and say no to that which is not in direct support of your most important priority. You CAN Say No Without Guilt. 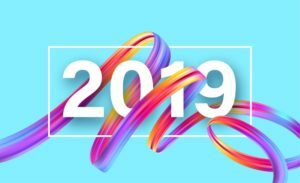 Lots of new things ahead in 2019 which is truly…just around the corner. The thrill is gone…oh wait, there never was any thrill. Ok folks, this is NOT actually getting any easier. I had a terrible headache today…again. I went in search of sinus meds because it seemed like it was coming from there, but who knows. What I DO know is that I miss my chicken and fish more than I can express. I am awash in disappointment and some sadness at the absence of these simple proteins from my diet. Not to mention, I can’t seem to focus. Every day I ask myself “is this worth it”? The jury is still out. Although my pain is so much less, I feel that I traded one pain for another. Sad face emoji. Why can’t I just have some chicken? I’m at the point where I don’t really want to even eat. Another sad face emoji. Off to bed where I don’t have to think about eating or not eating. 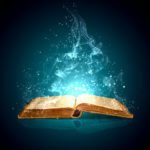 What are the Akashic Records? The short answer is they are an energetic (vibrational) storehouse of limitless knowledge for each soul. They consist of past, present and future insight and they hold vast amounts of healing light and information. They also provide an atmosphere of unconditional love, compassion, and complete acceptance, while offering insight, clarity, and wisdom to help you evolve on your human path. You just need to learn how to ask for the information! When I was about 7, I would go outside and lay down on the grass in the front yard of my house. I would look up at the sky and seeminglymelt into its oneness. I knew back then I was part of something bigger. I remember a tremendous sense of peace and knowing. I could lay there for hours and ponder existence. Looking back, I’m not sure what “existence” meant to a seven-year-old. I just knew I was at peace. When I was growing up, I often felt like I needed to hear confirmation that the decisions I was making or not making, were correct, so I sought out external acknowledgment and validation from others. As I grew more confident in my judgment, I relied less on that external validation and more on my own internal wisdom. Now I rarely seek out external input, although when it occasionally does happen I see it as a growth opportunity. The terms “internal” and “external” in this context is one of several NLP (Neuro-Linguistic Programming) terms called Metaprograms. In short, Metaprograms are unconscious filters to process incoming information so you can utilize it in productive ways in your life or interactions with others. Is the Sh*t Hitting the Fan? At the same time, my clients were experiencing this I was also having crazy sh*t happening. I’ve had significant plumbing issues (as in sewer, water line, and water main replacement). My computer and Fitbit went haywire; I thought my cat was down for the count (she’s fine), and I even felt challenged about my ability to provide a useful reading. It’s been a wild ride that has lasted about three weeks. The last time I saw this type of event was a few years back so thankfully it doesn’t happen very often. If you have had strange and unusual experiences, it may be cosmic! Great, and I bet you want to know what you can do about it? Find your internal energetic core and strengthen it. You need to find your center of gravity so to speak. It is a place within you that is your anchor. Even when seas get rough and the wind is blowing, and the sh*t is hitting many different fans, you have an inner strength that guides your ability to respond more positively. If meditation is your thing, do it and do it regularly. It doesn’t have to be 20-30 minutes; it can be 5 minutes as long as you find that quiet place and go there every day at the same-ish time. Focus on allowing the divine light coming into you from above and the stability of the earth energy rising from below. If you have a completely different practice, use it! 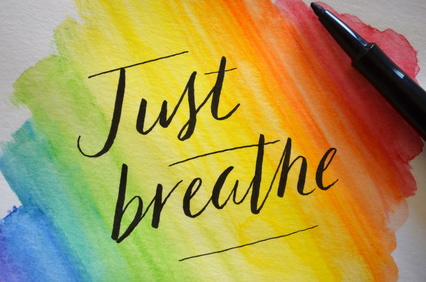 It can be 5 minutes of sustained and strengthening breathing, or playing the piano (or another instrument) or writing or painting or doing whatever connects your heart to your body and quiets your mind. Imagine all of your internal energy centers (chakras) spinning with correct alignment and precision and trusting that they know what that means. Connecting to your inner energetic core (anchor) with persistent and consistent practice will be the proverbial port so you can weather almost any storm. Also, I found laughing at most of this stuff pretty useful. By the way, I don’t know much about astrology so here’s a link to something I Googled. You can do your research. What I also know is that this event is finally passing through and things should be back to normal, unless your life isn’t “normal” to begin with. Wishing you well! Holidays: 5 Tips to Saying “No” and Feeling Good About it! The good news: It’s the holidays! The bad news: It’s the holidays! This time of year can have you going from one extreme to another. Parties, family, friends, spiritual gatherings, shopping and oh yes, work. There are a lot of demands on your time and energy. The only way to happily navigate this time of year is to set boundaries that you can feel GOOD about! There are boundaries for everything. You have to know what they are, when to use them and how to communicate them. There are a lot of moving pieces in boundary setting. Even when you know your boundaries, expressing them with firm compassion is often a challenge. • A physical boundary defines who can touch you, when, how and where that will or will not happen. • Emotional boundaries are the limits you set on how people will treat you. Your values and priorities guide your boundaries. You have to decide, “what’s most important” to you when you choose, say, how you are going to spend your time during the holidays. Once you know your limit, then you have to know when it is about to be or has been reached. The way you know this is through your feelings and emotions. When you feel bad, guilty, resentful, etc., it’s usually a boundary issue. Keeping all this in mind, below are a few tips for communicating with compassionate firmness to keep your boundaries intact. 1. Start with a list. What needs to get done? What can you delegate? What can you cut out or postpone? 2. Decide the top actions or activities you want to do (not that have to get done). You just cannot do everything, nor would I suggest you try. 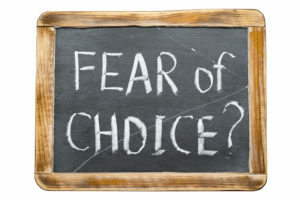 Decide what makes you happy and start here first. 3. What actions or activities make you feel guilty, resentful, inadequate, depressed, anxious, etc.? Put those on the bottom of the list. Make these lists short and simple. 4. Once you know your limits, you have permission to say “no,” “maybe,” or “yes” or something else entirely. 5. 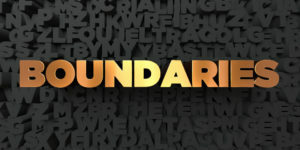 Lastly, setting your boundaries is about communicating expectations (yours and theirs), adjusting if needed (not giving in) and acknowledging the invitation or request by thanking the person and then expressing your response. Bob: My mother just called, and she wants us to come over early on Christmas and help with cooking, set-up, and clean-up. Susie: Of course! I love your mother and am happy to help. And…I feel like every year I end up doing the bulk of the work. What if we told her we can come over between 2-3 and would be happy to help with whatever still needs to be done? Bob: I’ll try, but you know how mom is and how nobody else helps. Susie: Yes, that’s the problem. Let’s tell her how much we appreciate what she is doing and that we are happy to come over by 2 p.m. and that it’s a great opportunity for other family members to step up and help her. No more dialog. That is the conversation. Communicate it and repeat it verbatim as needed. The gem is the repetition! If you are not used to using compassionately firm language, practice saying it to yourself and out loud. Happy Holidays and enjoy setting some new boundaries. Recently I was pondering a past relationship in which something had been “done to me” that felt so heinous I wasn’t sure I could ever forgive it. In fact, it happened more than 25 years ago, and I was still harboring deep feeling s of anger. Since I teach Ho’oponopono (the Hawaiian process of forgiveness), I felt a bit at odds about urging others to embrace forgiveness when it didn’t seem I was fully walking my talk. In that very moment, I tapped into a brilliant source of illumination and let it rain down on me as if I’d just stepped into the shower. I finally experienced forgiving this person, a feeling I’d not been able to allow before. There is a bit more work to do, but at that moment, a sense of surrender and release flowed through me, and it was hugely freeing! My past inability to let go of this offense added a layer of useless distress to the junkyard of emotions I’d worked so successfully to pare down. There had been a part of me that didn’t want to let go of these feelings (which is of course why I still held onto them). I wanted to feel self-righteous. I fought the tug-o-war of releasing this man from what he’d inadvertently done to me. Maybe he has held onto his guilt, I don’t know, and I don’t care now. What I finally got on a heart level is what I teach every day of my life: everyone is doing the best they know how and he was no exception. In my heart and mind, I finally released the energetic rope that bound me to him. That release, in turn, enabled my heart to grow bigger and fuller in alignment with Source and my reason for being here. Everyone has something they believe they cannot forgive. Be it an insult, direct injury, perceived betrayal, disappointment or hurt. You wouldn’t be human if you didn’t experience this yet I ask you to imagine all the angst and pain you’ve caused yourself by holding on to the real or perceived offense? What is the price you’ve paid in your quest for self-righteousness and vindication? Was it worth it? Probably not. When you finally accept others for the flawed humans they are you will look back and realize what a waste of time it was to keep this person wrong! In the bowl of emotional soup, love is the main ingredient followed closely by forgiveness and compassion. It is a meal we must eat every day to survive emotionally and spiritually and grow as a human in this lifetime. It is your purpose to evolve. Holding on to junk hurts only you and stunts the process of your fabulous potential. This is why you must find forgiveness. I recently had several people tell me that they read all my blogs. I was a bit stunned and certainly pleased. It started me thinking about the value I bring to others and what it’s worth. How do you determine what your “value” or “worth” is? What value do you bring to those around you (personally or professionally)? Is it a dollar figure, contribution or service, unconditional love, understanding, compassion, or something else entirely? Most women and (a few men) struggle with the concept of “value” and “worth”regardless of what they do for a living, however, self-employed individuals often struggle much more with this if what they have to offer is a service. Often the labels of “value” and “worth” are used interchangeably. I’m not sure it makes a difference, however, here’s how I see it. 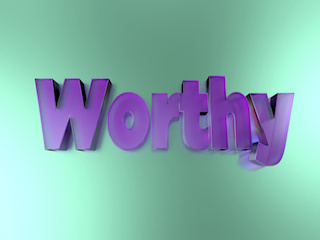 I ascribe a dollar amount to the word “worth.” When I think of “value” I think of how important something is to me. Of course, what holds value to me may not have the same value to you. There are things I could not put a dollar amount to such as human, animal and plant life. If our Earth home ceases to have plant and animal life, what is its value? I’m not suggesting that would happen so don’t get your knickers in a twist. It’s simply an extreme observation of how I see the difference between “value” and “worth.” Life is not a commodity that can be assigned a dollar amount. You are unique and bring something special to Earthdom. You are priceless. What you have to offer is priceless. Everyone has value in some context. Even the “worst” human has value because it teaches you what you do not want to have or be. How do you put a price on that? Simply put, how you decide your “value” or “worth,” is highly dependent on context, perspective, and beliefs. Additionally, do not confuse what you earn with what you are worth. 1. What are my current beliefs about my worth and/or value? How did I determine this? What is it based on? 2. Am I confusing my value with my earning power? 3. What context am I using to discern my worth? 4. What do I offer to those around me, both personally and professionally? What do I think about this? As to your monetary value if you provide a product or service, ask your clients/customers what is it worth to them? What is it worth to you? Would you like to have a different belief about your “value” and/or “worth”? Then create one. Remember, you and you alone, decide what your “value” and “worth” is.